Magdy Martínez-Solimán has worked for the UN for 15 years, focusing on issues including legislature development, the judiciary, electoral legislation, anticorruption strategies, accountability in public financial management, and democratic transitions and national dialogue. He has worked in Bangladesh, Burundi, Senegal, and Togo. He was UNDP’s Senior Governance Advisor for the 18 West African countries from 2000 to 2003, and then the Practice Manager of UNDP’s Democratic Governance Team. In 2006, the UN Secretary-General appointed him the first Executive Director of the UN Democracy Fund. 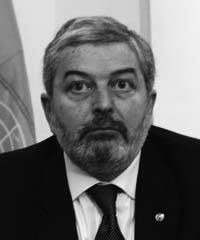 From January 2008 until February 2012, he was the UN Resident Coordinator in Mexico and UNDP’s Resident Representative.